. يقدم فندق فانواتو هوليداي خدمات لا غبار عليها وكل أشكال اللياقة وحسن الضيافة اللازمة لإسعاد ضيوفه. يمكن الاستمتاع بمجموعة من الخدمات على أعلى المستويات في الفندق كمثل واي فاي مجاني في جميع الغرف, مكتب الاستقبال على مدار الساعة, تخزين الأمتعة, جولات, خدمة غسيل الملابس. يمكن للنزلاء الاختيار من ضمن مجموعة من الغرف المصممة بعناية لتعكس جواً من الراحة، والتي يتجاوز عددها 26. كما أن مجموعة الخدمات الواسعة الموجودة في الفندق لضمان راحتك تترك لك الكثير من الخيارات لقضاء وقتك أثناء فترة إقامتك. مهما كانت دواعي سفرك فإن فندق فانواتو هوليداي هو خيار ممتاز لإقامتك في بورت فيلا. Please note that there is a 5% charge when you pay with a credit card. Please note that for 'breakfast included' accommodation, the breakfast provided is continental. The hotel location was decent and relatively clean. The staff were very friendly and helpful. It's the main attractive point. The facilities were disappointing. The pool is more like a kid's pool. Also the hotel actually acts semi as a school - there's books occupying breakfast table, and you can hear student having lessons from your room which is not great for relaxing. There was mention of restaurant on the website but we couldn't see any nor was informed of it. Also the share kitchen is very tiny kitchen with only a small bar fridge available. However, given the relatively cheaper price it's decent. It's just not suitable for couple for romantic getaway as was stated. Feels more higher level backpackers with private bathroom. 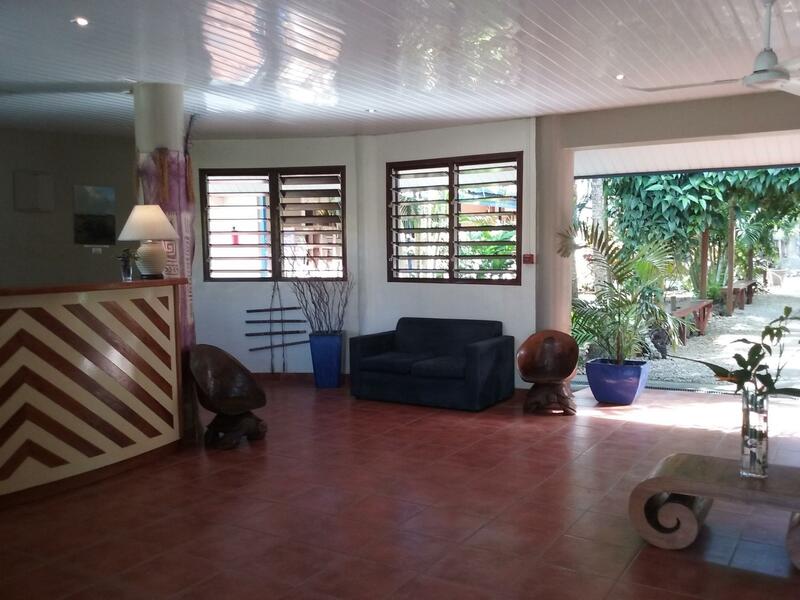 A compact hotel, with a range of budget rooms set around a lovely tropical garden and pool. The simple continental breakfast in the pretty outdoor, thatched dining shelter is a lovely, relaxed way to start the day - fruit, biscuits, weetbix, toast + jam, milo, juice, tea and coffee, is included in the price. The rooms are neat and tidy with access to limited wifi, but do not have a tv, fridge or kettle. Would suit the budget traveller or backpacker who is out and about during the day, and wants to come back to a clean bed and warm shower. New Wifi will be contracted from July 2018. Hope that it could help us to improve the wifi signal. Thanks for your comment and glad to accommodate you in Port Vila. 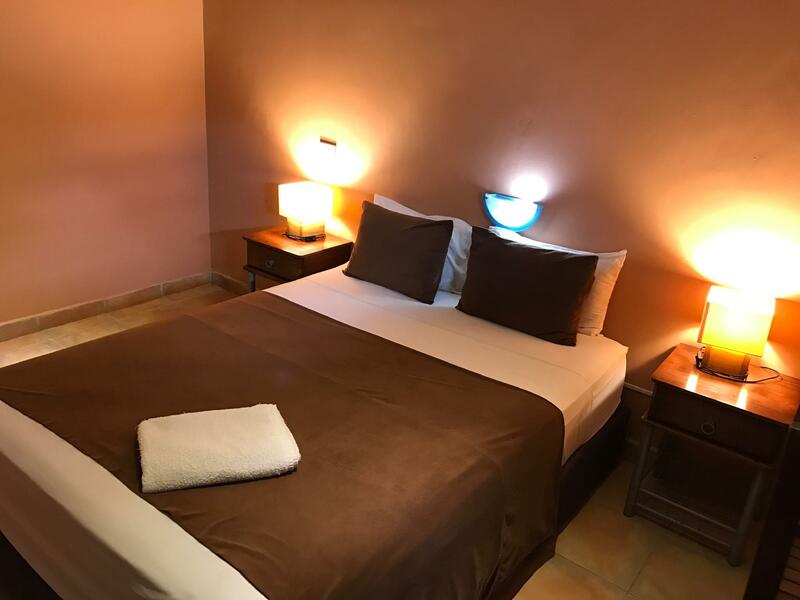 Hi The hotel was nice and good looking, the staffs are very friendly and the location of this hotel is near town by walk about 8 mn and near the big super market "Bon Marche"
Thanks to choose our hotel and we are improving our facilities in the coming 6 months. Hope that we could provide you better service next time. Warm regards. Thanks for your comment. We will keep improve our service and facility. Hope that we could provide you better hospitality experience next time. Warm regards. After a late night flight, this is a delightful place to check in and wash off the stress of travel. This is a beautiful and well furnished venue with excellent and friendly staff. Thanks for your comment. We keep improving our service and facility. Hope that we could provide you better hospitality experience next time. Warm regards. The manager offered me to stay till my flight departure about 2pm even though the check-out time is 10am. The staff are also very helpful in any queries. l hôtel est correct. personnel accueillant. rapport qualité prix excellant chambre climatisé. l'inconvénient les chambres ne dispose pas de petit frigidaire et de bouilloire électrique. chambre spacieuse climatisé. bien situé géographiquement. juste l inconvénient les chambres ne sont pas équipées de frigidaire, bouiloir électrique etc... c dommage mais ds l ensemble c correct. le personnel de hôtel très accueillante. Nous avons été accueillis par les propriétaires d’une gentillesse extraordinaire. L’hôtel prend en charge la navette depuis l’aéroport, donc pas de frais supplémentaire et les propriétaires sont toujours disponibles pour donner des conseils et aider à s’orienter et réserver les activités sur l’île. Le lieu est magnifique, très propre et un décor très soigné. Très belle vue sur la lagune et l’île d’Aore. Unique bémol la chambre et la salle de bain ne sont pas séparés par une porte ! The rooms are clean and practically and well furnished, some cushions should be renewed. Sitting area and garden are nice. Breakfast is quite poor. Internet is all in all slow. If you ask for a local call to organize a tour, you have to pay for that service. But staff is here to help if needed. Thanks for staying with us. We will keep improving our facilities as well as our services. Hope that we could accommodate you in the near future. 两个华人老板和一个中文说的特别好的韩国老板合开的旅店。很温馨的环境，安静并且舒适。价格很合理，位置离town很近。步行十分钟，bus两分钟。旅店有各种旅行的册子供旅客选择。免费早餐，还有厨房可以用来做饭。老板很热情，幸运的话可以吃到免费大餐哟！哈哈哈哈！体验很棒！旅店才正式运营不久，房间设备都很新。员工都是当地人，法语英语中文都没问题。超级赞！ I love the design of the hotel. Their service was so great. You will get the best care from them. 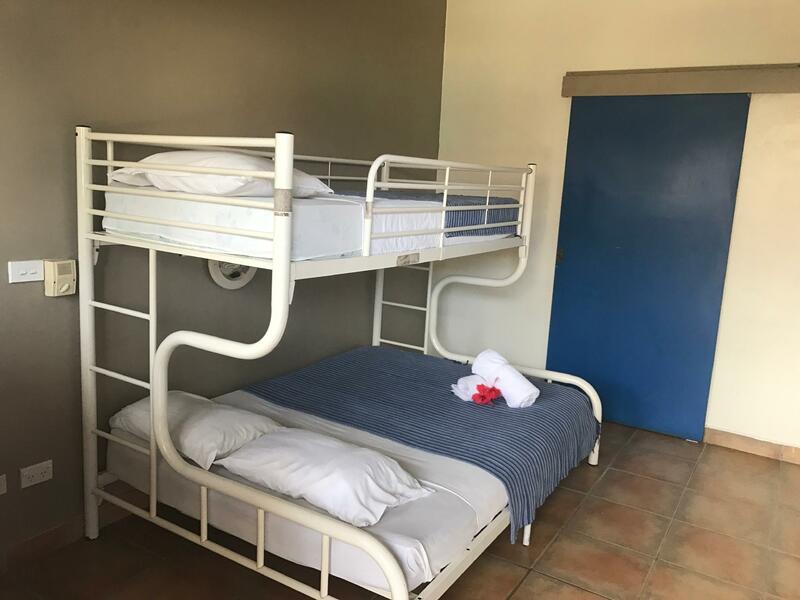 All rooms have brand new furniture and pretty clean and comfortable. 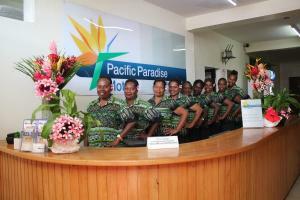 The owners of the hotel are so generous and would like to share all good food and experience in Port Vila. Nice to talk with them. Their staff can speak French, English and Chinese as well. You will get the best service with reasonable price. I will come back with family later! 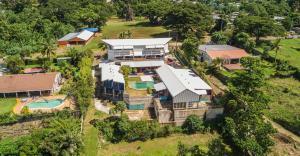 This is the best experience in Port Vila. Don’t miss up. Thanks for your positive comment. We are renovating some of rooms in order to provide guests more nice experience. Thanks for your comment. We keep improving our service and facility. Hope that we could provide you better experience next time. Yours sincerely. 시설과 위치는 대체로 무난. 투어 예약은 여행사에 직접. 약간의 의심스러운 점이 있음. 안녕하세요 바누아투 홀리데이 호텔입니다. 저희 호텔을 이용해 주셔서 매우 감사합니다. 투어 예약에 대해 의심스러운 부분이 있으시다고 하셨는데, 어떤 부분이 불편하셨는지 말씀해주시면 참고하고 수정하도록 노력하겠습니다. 후기를 남겨주셔서 감사드리며, 더욱 노력하는 바누아투 홀리데이 호텔이 되겠습니다. 감사합니다.